Glitzy Fashion Runway Models, the latest Canon High Tech Gear and the best collection of HD DSLR Filmmakers like Vincent LaForet made the Canon EXPO 2010 in New York City a spectacular event. 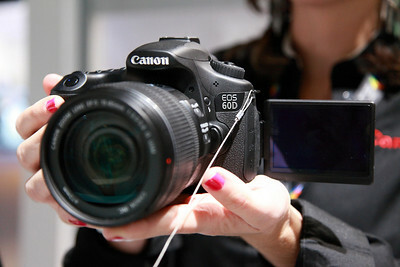 The Canon EOS 60D made its physical debut this Labor Day Weekend at the Javits Convention Center. This gave me ample opportunity to get my hands on the new 18 megapixel Full HD DSLR with high resolution swivel screen, manual audio control for video and wireless flash control like the Canon EOS 7D. At the retail price of $1099 for body only, the 60D is arranged to be a glorified upgrade to the Rebel T2i and an inexpensive alternative to the Canon 7D. 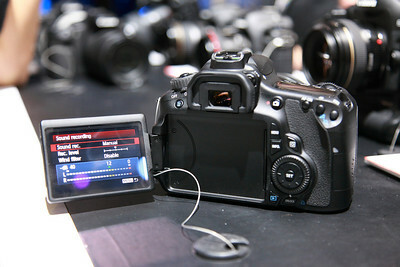 It shares the same 9 AF points like the Rebel T2i and the discontinued 50D. The 7D has 19 AF points with a faster 8 frames per second. 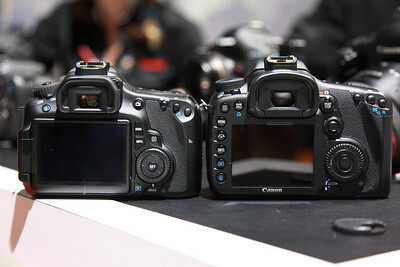 The Canon EOS 60D is bigger in size than the T2i but smaller than the 7D. 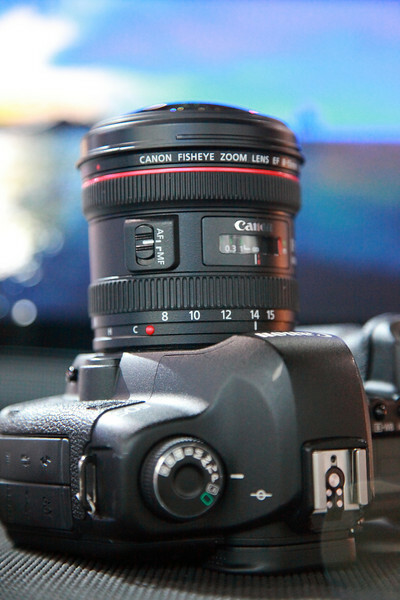 It is an entirely new form factor for the Canon DSLR lineup. The 60D fit my hands comfortably especially with the slightly larger grip. Great features like Full HD video resolutions and variable frame rates, wireless flash control like the 7D and a stereo audio input with manual audio control make the Canon EOS 60D a winner in my PhotoBlog eyes. The SDHC memory card for image and video capture has troubled the prosumer market but I do not mind because this camera is not meant for speed. If it were destined for shooting sports, the 60D would have 19 AF points like the 7D as well as the faster compact flash form factor. I also handled the new Canon EF 8-15mm f/4L Fisheye zoom lens. A zoom fisheye is a L lens first for Canon and I am excited to use the lens for unique video capture. 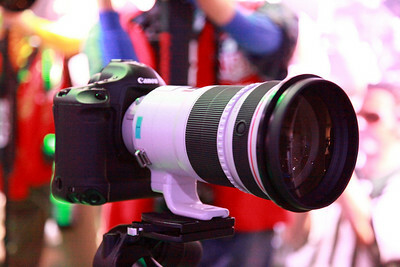 I could not miss the chance to use the new version II of the Canon EF 300mm f/2.8L IS II lens. It is supposed to be sharper and lighter than the previous version but unfortunately more expensive. The Canon rep told me the retail price is around $6000. Yikes! As you noticed in the Youtube video, there was a mock Fashion Model shoot with a runway and techno music. Definite eye candy! Latest Canon gear and SuperModels are must shoot material for Canon HD DSLR's. When the Canon EOS 60D hits the store shelves before October 1st, 2010, I will give my Video Review and Verdict of this much anticipated camera. You can view more in my Canon EOS 60D Video Preview at Canon EXPO 2010 Gallery. Well done, your blog is becoming one of the goto places for gearheads. I look forward to your full 60D field review. Maybe we can convince Keith to hold a similar event at North Tampa Photo - complete with models and mock-fashion shoot - when the 60D arrives.